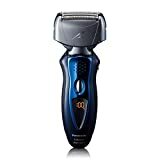 Braun Series7 790cc review 2019 – The Braun Series 7- 790cc Pulsonic Shaver System is one of the latest model electric razors manufactured by Braun, a company with a solid history of providing quality electric hygiene products to consumers. Listening to the feedback of existing customers, Braun upgraded their previous series to provide additional features that give users an efficient razor that produces a close shave. In addition to offering a better shaving experience, this new model of shaver was designed to be easier to use and maintain. The Braun 790cc has several features making caring for and using this shaver easier for those who have been disappointed by electric shavers in the past. 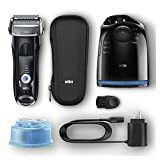 Learning about these features in detail will help you understand how this Braun shaver differs from other similar models. Having a full understanding of the differences can help you make an informed purchase. The Braun Series 7- 790cc Pulsonic Shaver System offers a unique solution for those hard to shave areas. The trimmer lifts any flat hair and removes the hair as close to the root as possible. Designed to help those people with fine, flat, body hair; the ActiveLift feature helps to ensure that no hair is missed during the shave. Most shaver systems are extremely difficult to clean. Addressing the problem, Braun designed the Series 7- 790cc with an easy to use cleaning system. With the touch of a button, owners of this shaver can clean their shaver each day. The Braun’s clear LCD display will remind users when cleaning is necessary. Also, the cleaning system lubricates the shaver and charges it to increase the overall life of the shaver. The Braun can be operated with or without a cord. Users have the option of charging their shaver by plugging it into a power source. 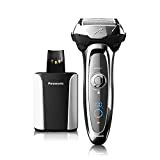 While Braun recommends charging the shaver for at least 60 minutes prior to use, the Braun Series 7- 790cc Pulsonic Shaver can be charged in as little as 5 minutes. Once charged, the Braun can be operated in the cordless mode for up to 50 minutes. The LCD display on the shaver will let users know the charge level and will alert a user when a recharge is necessary. Shaving those hard to reach parts of the face, chin, and neck frustrate even the most experienced shaver. The Braun Series 7- 790cc Pulsonic Shaver System has a unique head that pivots to adapt to the contours of the users face. Anyone using the flexible shaver will be able to get the most use out of their shaving system. Once a user has grown accustomed to shaving with a Braun series 7 they will find that they shave short hair with as much ease as long hair. The micro-vibration system, referred to by Braun as Pulsonic Technology, uses thousands of vibrations to shave more hair with each individual stroke. The technology was designed to speed the shaving process without sacrificing comfort. Micro vibration helps users get a comfortable, and thorough, shave in a short period of time. Unique to the Braun Series 7- 790cc Pulsonic Shaver System, OptiFoil is a feature that is designed to cut hair as close to the roots as possible. Ergonomically designed, the OptiFoil helps users get a deep shave without damaging the skin. In addition, protecting the skin, OptiFoil’s close shaving technology helps users achieve a more thorough shave which can increase the number of days between shaves. The Braun series 7 gives users the option of saving three different personalization modes. Each mode can have its own level of intensity for a deeper, or gentler, shave. Setting different modes allows users to use different shaving modes for each region of their face or body. Yes, the Braun Series 7- 790cc Pulsonic Shaver System has a 2-year warranty with free repair at an authorized Braun service center. 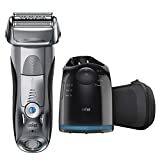 The Braun Series 7- 790cc Pulsonic Shaver System has a 4.4 out of 5-star rating on Amazon.com at the time of writing. 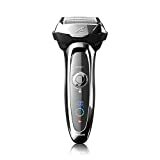 Most owners of this shaver give it a solid 5-star rating. A few of the most satisfied owners of this Braun model purchased it to upgrade from a previous Braun. Even though the majority of this Braun Series 7- 790cc Pulsonic Shaver System owners are extremely happy with their purchase, there are a few who were not so satisfied with the overall quality of their buy. The primary complaint most had about the shaver was not how well it worked, but how much the shaver cost. 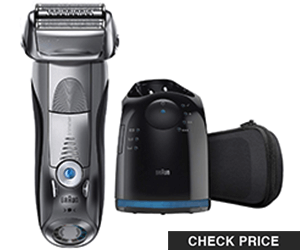 People who were transitioning from disposable razors to an electric shaver were shocked by the price. After making their purchase based on the feedback of others, these new owners felt the electric razor made an unusual amount of noise. 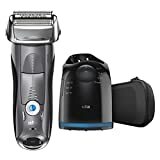 However, after owning the Braun for a few weeks and getting used to the noise; most owners admitted that the quality of the shave was much better than what they received with electric razors. These users came to believe that with the Braun it was worth paying more for a product that would give them a close and comfortable shave. 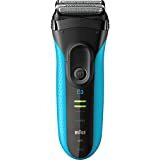 The Braun 790cc is not the cheapest electric shaver on the market, but it is a shaver that offers one of the largest numbers of features. It is designed to provide a close shave quickly, without irritating even the most sensitive skin. The self-cleaning option helps keep the shaver hygienic, without requiring the owner to take the shaver apart or invest in expensive cleaning tools. 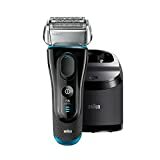 With numerous features, and many positive reviews, the Braun Series 7- 790cc Pulsonic Shaver System should be considered by anyone looking to purchase a first electric shaver or replace an older model shaver.